By now, most of you have read a lot about the growth of Nuorikko's concept. (If you're behind, you can do so here, here, and here). Its been an incredible experience thus far, and I've shared a lot of the positives, and some of the struggles, but I've left out a huge amount of the actual learnings and journey that brought me to here in the first place. Nuorikko would not exist if I hadn't gone through what seemed, at the time, like endless stages of searching for a place in the world, and its time I shared some of that. You've heard about how I made my own wedding gown. Ranchers Daughter...goes to Design School?? Imagine, for a moment, what my friends and family from Wyoming thought when I took those sewing skills I learned in 4-H and decided to apply them to a career in fashion. "Won't that be hard, and possibly less than lucrative?" they asked. "What made you want to do that, you're from Wyoming?" they said. Hard to explain, even to myself, was that my driving force has always been the engineering of the garment, the magic of seeing a design come together and watching a friend or a customer fall in love with it. 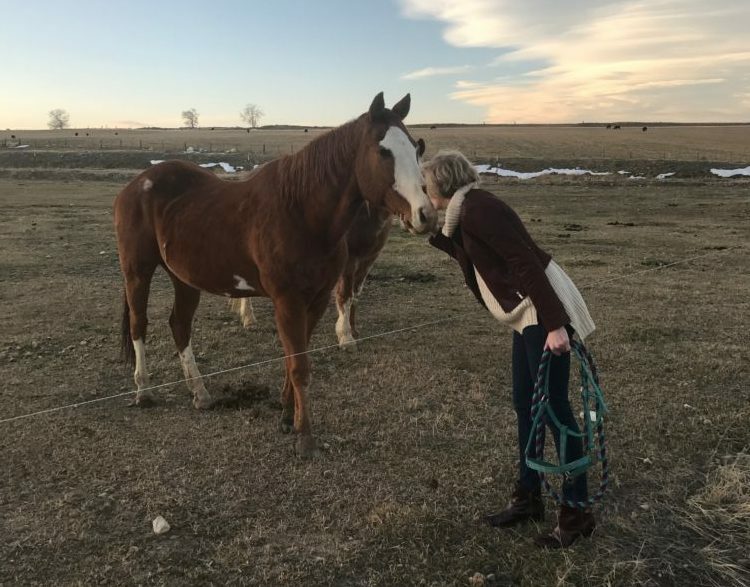 I didn't exactly swoon over the high fashion or glamour of the industry in cities around the world, being from a state that had less than a 1/2 million total population and solidly adrift in the middle of the country. I fell in love with the construction of the product. "...my driving force has always been the engineering of the garment." I managed to muscle my way through college, averaging 3 or more jobs/semester to pay for it, on top of what turned out to be the type of homework and study time equated with your average engineering degree. While working my way through what seemed like an almost endless amount of sewing and drawing and delivering sandwiches to my classmates after they were done dancing at the bars, I had the incredible good fortune to meet the engineer who would become my husband (who can verify the insane hours and that comparison to his college experience). He was not only able to more-or-less put up with the schedule and mood swings that come as part of the package when you're with a creative type, but was willing to take a leap of faith and build a life with a broke 21-year-old college student. The aforementioned custom-made wedding gown was actually a part of my thesis collection in my final semester. What I couldn't have predicted, when embroiled in that last frenetic semester of classes before graduation, putting together a fashion show for my final thesis collection, and planning our wedding, was that my gown would also be a jumping-off point to an unplanned foray into entrepreneurship. Before my wedding day was over, I had 3 orders for other custom wedding gowns. By 2008 I had been steadily building up enough custom clients to have an interesting little side business. I did everything from fitting & tailoring men's designer suits, to making custom wedding gowns and renaissance costumes. My second stroke of luck in only a couple of years came when a client who was also a boutique owner and general fashion industry expert took an interest in my design work, and helped me launch a line of casual womenswear into boutiques across the country, called KaiT Design. As optimistic as only a 24-year-old can be, I decided this was my shot and quit my day job. It seemed like I was on my way, with stockists in 20 states and a comfortable and growing business in only 15 months. Of course, if you know anything about what was happening in the economy, and perhaps especially in retail, in 2008, its a miracle that I was able to grow the business as much as I did. By early 2010, though, it seemed I was a one-woman circus act, juggling a rapidly tumbling house of cards as one boutique after another, and then one sales rep after another, went out of business. This left me with a series of returned orders, or, even worse, clothing that hadn't been paid for and was trapped in boutiques across the country as those business owners tried to figure out what their next steps were. Rather than do the sensible thing and regroup or retreat, I doubled my efforts, and took much of the production in-house, in an attempt to manage costs and leverage the skills I had honed designing custom garments and tailoring clothes. Soon, I was working an average of 90-100 weeks and still losing accounts monthly as many business owners succumbed to the extreme lack of confidence consumers had in the apparel market during that time period. It was an unsustainable business, and an unsustainable way to live. After making what seemed like a literally impossible decision to shut down what I thought was my dream business, I landed the first of what would become many "corporate" jobs: designing yoga-wear. The pay was...ok-enough...to allow me to reason my way into doing something I knew from the get-go wasn't quite right for me, and it felt like a good chance to take a breather from the insane hours I had been working during the last year with KaiT Design. After that, having a paycheck deposited into my account bi-weekly was enough justification for me to jump from job to job, designing everything from bike jerseys to hiking clothes, and baby girls' dresses to high-end skiwear. "I learned how to squeeze margin out of a $20 T-shirt." While I knew almost immediately that I wasn't cut out for this type of design work as a career (its a different personality that likes spreadsheets and computer sketching instead of working with actual garments), this stage of my life was one of the most valuable in terms of learning experiences. I learned how to squeeze margin out of a $20 T-shirt. I learned how to manage a team of volatile employees in a failing business. 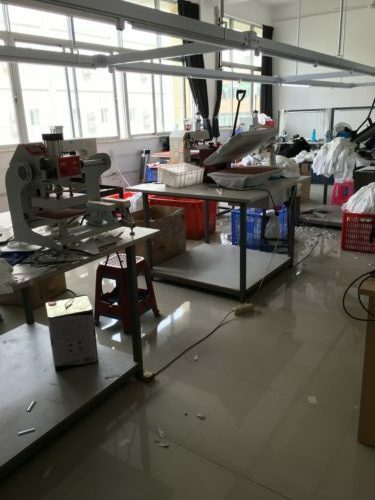 I traveled to factories on 5 continents, negotiated across language barriers, and saw, first-hand, exactly how bad working conditions can be...even in "humane" garment factories. 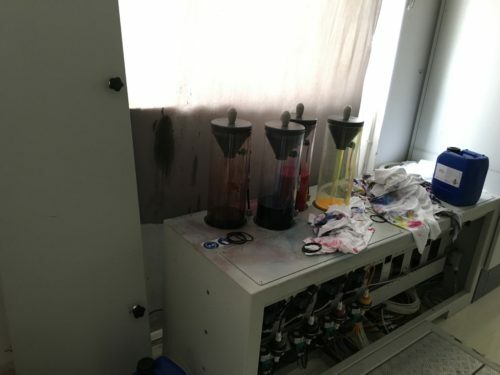 It was during this period that I started to become seriously passionate about creating better processes for producing apparel, regardless of the garment or geographic area that was in question. I started to research and use new technologies that improved manufacturing processes and conditions. The more I learned about the apparel industry on both small and large scales, the more I understood how challenged it is. It is THE largest industry in the world, its really unacceptable that so many brands just keep going with the status quo in terms of the ways in which goods are designed and produced. What I've been driven to, through my peripatetic journey through everything from bridal and couture, to fast fashion, to private label, to children's clothing, to high-end ski-wear, and back again, is this: as a designer, as an innovator, I have a duty and an obligation to use what I know to make this world a better place. Its not enough to create the next best-selling trend, even if you are either lucky or talented enough to manage to do it season after season. "...as a designer, as an innovator, I have a duty and an obligation to use what I know to make this world a better place." Clothes should be about fun, and glamour, and yes, about basic necessity as well. Doesn't that include necessities like being aware of our footprint, and our message, and how we are employing resources to build a collection?? Nuorikko began as an outlet for a personal frustration. It was a way for me to design some bridalwear that I'd actually want to wear, but as I've crafted the company's social expectations and manufacturing standards, its taken on a life of its own as a way for me to address everything about the industry that I both love and hate. 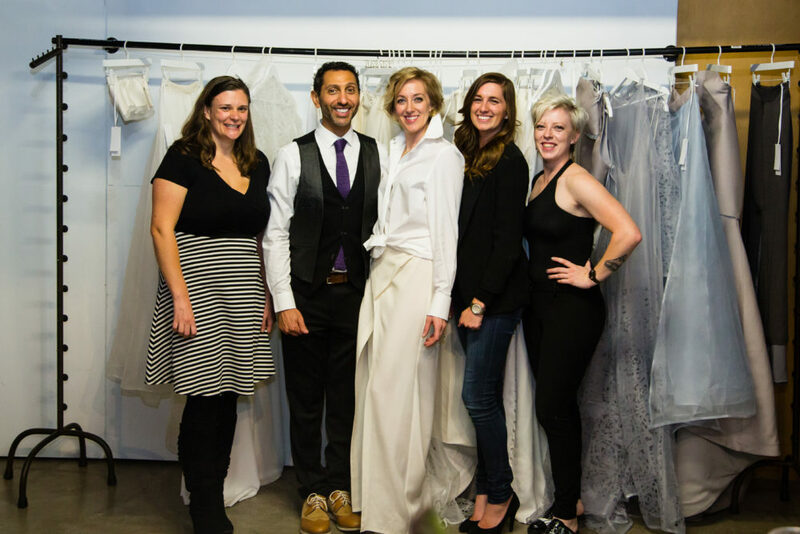 It was a fortuitous moment indeed that gave me a push into designing a 10th anniversary dress that answered a question no other brand, either in or out of the bridal industry, seemed able to answer. I already knew that there were issues with the apparel industry, but the more I learned about how bridalwear is produced, the more I realized its even farther behind than any other product category, making it a poor experience for both factory workers and the end consumer. Nuorikko is using a very modern method of manufacturing, known as mass-customization, that is at the fore-front of innovation in the apparel industry. Powerhouse brands such as Nike are scrambling to implement these same types of concepts in their businesses as a way to create faster and more sustainable & responsible production. 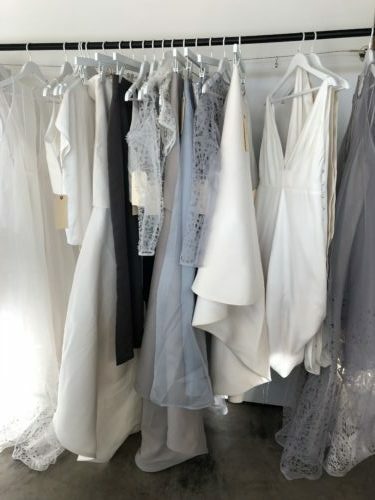 Nuorikko does this in the U.S. with a premium product, making us the first bridal brand to implement anything like this, and allowing us to deliver a quality, made-to-order gown. Our brides get a better experience and a better product, and we reduce our footprint and have better control over our supply chain. One of the best things about starting a business that is based in Denver and focused on U.S. based manufacturing, is how much more time I get to spend with my husband, who, it turns out, is much more entrepreneurial than we all thought. Much of the greater concept for Nuorikko's growth comes from his crafty engineer mind, and its incredible to have his perspective in helping to find solutions to a stagnant industry's problems. A U.S.-based, sustainably-manufactured business is its own selling point, and until it becomes more commonplace, we'll use it as such, but it should not be such a novelty. Nuorikko will take on the bridal industry to start, giving not just brides, but individualists everywhere, a better option than what is currently on the market. 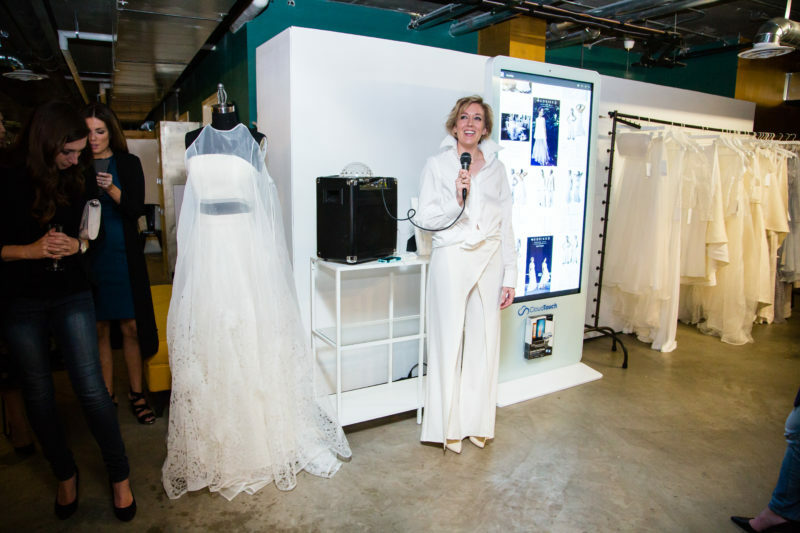 Ultimately, once we are able to achieve the change and the reach in the bridal industry that I long for, we intend to take these concepts beyond bridal and start affecting the greater apparel industry in whatever way its possible to do so. "A U.S.-based, sustainably-manufactured business is its own selling point... but it should not be such a novelty." Ultimately, our goal is to make it the norm, and not the exception, that clothing is produced with an eye to more than just next-season's trends or profits, and that customers have an exceptional and stress-free shopping experience.